I’ve backed two campaigns created by Queen Games (QG): “Chicago Express” and “Escape Big Box”. Both were delayed and in both cases, QG used two strategies towards backers: Utter silence or making promises that were not kept. “Chicago Express” was delayed for three months but this blog post is not about that game. If you want to see what happened, read through the campaign updates and comments on the Chicago Express Kickstarter campaign. So on with the story about “Escape Big Box”. May, 2014: Project funded (i.e. QG takes my money). November, 2014: Delivery of the base game and digital download. March, 2015: Delivery of the “Traps” expansion. May, 2014: Project funded (i.e. QG took my money). December, 2014: Delivery of most of the base game in the EU (this includes me). April, 2015: Delivery of the missing sand timer (upon request). June 23, 2015: Digital download is available. December, 2015: Delivery of the missing items from the base game. December, 2015: Delivery of the “Traps” expansion. Conclusion: The complete base game was delayed for more than a year, and the “Traps” expansion was delayed for 9 months. QG seemed very excited about the game and kept posting updates and answering people’s questions on Kickstarter. Right up until the project were funded and they got their money. Then QG stopped answering questions on Kickstarter and the campaign updates were mostly promotions for their other campaigns. When people received their games, they noticed that some items were missing: A sand timer and a specific stretch goal consisting of two tiles. It took a long time to make QG agree to deliver the missing tiles. Below I’ll sum up what communication QG communicated in updates in the year after the project was funded. Some info was also given in comments but this can’t be considered public communication as it requires backers to read though hundreds of comments. May 7, 2014 (Rajive): Thanks for backing. September 8, 2014 (Keith): Game is now being printed. Game will be delivered in October, a month early. (promise will be broken). September 29, 2014 (Keith): Game production starts this week (this contradicts previous status). Game will be delivered in October, a month early. (promise will be broken). November 2, 2014 (Keith): Shipping info will change, update will follow shortly (promise will be broken). November 6, 2014 (Keith): Printing error. New print has been received. Game will ship late November. December 3, 2014 (Keith): New print has been received (this contradicts previous status). Game will ship soon (no estimate) (promise will be partly broken). December 24, 2014 (Rajive, CEO): There are missing items in the game. Will ship sand timer and two room tiles ASAP (no estimate, promise will be partly broken). 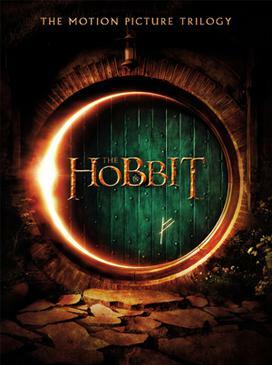 Digital download in February, 2015 (this promise will be broken). January 8, 2014 (Rajive, CEO): New communication team (Peter, Frank, Jörg and Nikki). January 8, 2014 (Peter): We’ll improve communications. January 8, 2014 (Peter): US: Shipping will start next week. Canada: Shipping at end of January (promise will be broken). January 22, 2014 (Peter): US: Shipping. Canada: Shipping next week (promise will be broken). January 30, 2014 (Peter): The promised Queenie #9 and #10 are the two misprints, so backers have received them. (Later we’ll see that this is incorrect). February 20, 2014 (Jörg): Shipping has started in Canada. March 13, 2014 (Jo): “Traps” expansion will now be designed (this should have been done a long time ago). Production will be in June 15 (promise will be broken). June 23, 2015 (QG): “Traps” illustration has now begun (this should have been done a long time ago). Digital download is now available. August 12, 2015 (Jo): Production of “Traps” and two missing tiles will begin in September. October 6, 2015 (QG): “Traps” expansion and two missing tiles have been produced. EU shipping next week (promise will be broken). October 15, 2015 (QG): “Traps” expansion and two missing tiles will ship in 10-12 days (promise will be broken). November 5, 2015 (QG): “Traps” expansion will ship now (promise will be broken). November 11, 2015 (QG): “Traps” expansion will ship now (promise will be partly broken). November 11, 2015 (QG): Two missing tiles will ship now. November 16, 2015 (QG): “Traps” expansion will ship in US/Canada now. As you can see, lots of silence and lots of promises – most of them broken. This has resulted in frustration for more than a year but now it’s finally over – for me at least. A few notes supplement this awful experience. As previously mentioned, I got the missing tiles in December, 2015, over a year later than promised. Queenie #9 and #10 ended up being the missing the missing tiles. From reading the comments I can conclude that QG never shipped the missing timer as promised – customers had to ask for it. I had to write the CEO of QG to get through to the company and get the sand timer. Since QG stopped answering people’s questions on Kickstarter, I had to write multiple times through e-mail but I never got an answer until I wrote the CEO (Rajive Gupta). Then I got an answer from Carlotta and the missing sand timer shortly after. The second time I wrote them about the missing tiles I never got an answer. Hundreds of complaints have been made on Kickstarter and QG have ignored most of them. As previously mentioned, I got the missing tiles in December, 2015, over a year later than promised. The backers of the Traps expansion are still receiving their games at the time of writing, 9 months late. Update December, 2016: Queen Games continue to delay their Kickstarter projects. All current projects that were scheduled to ship in late 2016 have been delayed until March-April, 2017 with no reasonable explanation (“uncontrollable delays” is not a reasonable explanation). The consistent delays back up my suspicion that the company is in huge financial trouble and that they finance their games by creating new Kickstarter projects (a bad financial practice called “ponzi scheme”). This entry was posted in Klager on 2.12.2015 by admin. Opdatering 23.6.2016: Nye priser for juli 2016 tilføjet. Opdatering 14.12.2016: Nye priser for 2017 tilføjet. Opdatering 30.9.2017: Nye priser for 2018 tilføjet. Opdatering 29.11.2018: Nye priser for 2019 tilføjet. Det er nogle år siden, jeg sidst fulgte op på prisudviklingen på Post Danmarks priser her på bloggen, men nu synes jeg, at det er på tide igen. Tallene taler vist for sig selv. 2009 (jan.-juli) – 5,50 14,50 22,00 – ? ? ? 2009 (aug.-dec.) – 5,50 15,50 23,00 – ? ? ? 2010 – 5,50 16,00 24,00 – ? ? ? For at sende det billigste brev (under 20 gram) som A-post er der altså sket en prisudvikling fra 4 til 29 kroner – mere end en syvsdobling siden 2001. * = Denne portoklasse udgik på et tidspunkt mellem 2001 og 2009. ** = Prisen er inkl. moms, hvilket er nyt for A-breve, som Post Danmark nu kalder Quickbrevve. *** = Del af en reduktion af antallet af brevtyper. Prisstigning er modsvaret af en prissænkning på breve op til 500 g.
De historiske tal fra perioden 1997-2001 er fundet via archive.org. This entry was posted in Klager on 24.10.2015 by admin. Sidste år valgte YouSee at flytte deres betalingsdatoer, så regningerne fremover skulle betales en måned tidligere end før. Da de fremtidige regninger for mit vedkommende ligger med samme skæringsdatoer, betyder det, at jeg pr. 30.8.2015 har måttet betale en ekstraregning på 628 kroner uden at få noget for det. Pga. flytningen af betalingsdatoerne kunne jeg i starten af 2015 ikke betale min regning, da der ikke var dækning i mit budget en måned tidligere end før, så derfor fik jeg flyttet betalingsdatoen, og jeg fik et fysisk brev (selvom jeg havde tilmeldt mig elektronisk post) med et vedhæftet girokort. Det betalte jeg, og samtidig trak YouSee også beløbet på mit kreditkort, så jeg måtte kontakte deres regningsafdeling for at få mine penge tilbage. Ifm. ekstraregningen i august 2015 betalte jeg regningen online med mit kreditkort, fordi jeg havde fået nyt kreditkort og YouSee i en mail havde fortalt mig, at mit gamle kort var udløbet, og at de derfor ikke kunne trække beløbet selv. Dagen efter hævede YouSee samme beløb en gang til på mit nye kreditkort. Jeg måtte igen kontakte deres regningsafdeling for at få mine penge tilbage. Flere gange i løbet af 2015 har YouSee udsendt regninger med forkert betalingsdato, hvilket så efterfølgende er blevet rettet i en opfølgende mail. Pga. al balladen forlangte jeg i starten af september 2015 at få en form for kompensation, og jeg blev lovet en rabat på mit produkt. Det viste sig et par dage senere, at man i stedet havde solgt mig et billigere og ringere produkt, og jeg måtte igen kontakte deres supportafdeling, som lovede at give mig mit gamle abonnement tilbage og kompensere mig på en anden måde. Nu har jeg så fundet ud af, at jeg ikke har fået mit gamle produkt tilbage, for jeg kan ikke skifte mellem de tre hastigheder, jeg kunne tidligere i mit bland-selv-produkt – den høje uploadhastighed er væk, og jeg kan med andre ord ikke benytte mit produkt fuldt ud som tidligere. Efter en kort dialog med deres e-mail-support har jeg fået beskeden, at YouSee ikke kan gøre noget ved problemet. Jeg må med andre ord leve med et ringere produkt end det, jeg tidligere havde, vel at mærke til samme pris. Valget at køre den sidste dialog pr. e-mail er sket, fordi problemet ikke er akut og min erfaring er, at man kan få lov at vente rigtig længe i deres telefonsupport (mere end et kvarter er ikke ualmindeligt), og jeg har på telefonsupporten flere gange oplevet at blive smidt af, når jeg blev viderestillet, hvorefter jeg kunne begynde forfra i køen til den, der skal viderestille mig. Det sejler hos YouSee, både i deres tekniske og økonomiske afdeling, og deres support lader nu til enten at være ligeglad eller afvise at gøre noget ved problemerne. Desværre sidder jeg i en lumsk fælde, så jeg ikke kan komme væk fra YouSee, fordi konkurrenterne ikke kan tilbyde et tilsvarende produkt til samme pris, fordi jeg som gammel, trofast kunde har en lavere pris end de priser, selskaberne afkræver deres nye kunder. Men jeg er meget træt. Den ene frustration over YouSee har erstattet den anden igennem mere end et halvt år. At blive afvist i deres support med “det kan vi ikke gøre noget ved” var dråben, som nu giver denne anmeldelse. For et år siden havde YouSee fået fem stjerner, men nu er min tålmodighed opbrug, og det bliver kun til 1 stjerne. This entry was posted in Klager on 30.09.2015 by admin. Denne artikel er forældet, fordi DRTV har skiftet backend. Download skal nu foretages på samme måde som for DR Bonanza, og det kan du læse om her. This entry was posted in Ikke-kategoriseret on 6.12.2014 by admin. Det er ikke min intention at træde nogen over tæerne ved at lægge disse dokumenter på nettet. Offentliggørelsen her har kun til formål at gøre nogle meget gamle blade, som er umulige at skaffe, tilgængelige for de fans, der stadig ønsker at læse dem. Opdatering 15.9.2015: Hjemmeside www.retro-commodore.eu har disse og endnu flere blade i sit arkiv. This entry was posted in Ikke-kategoriseret on 3.12.2014 by admin. Endnu et projekt er blevet færdiggjort i dag, og dette har ligget og ventet i ca. 3½ år. 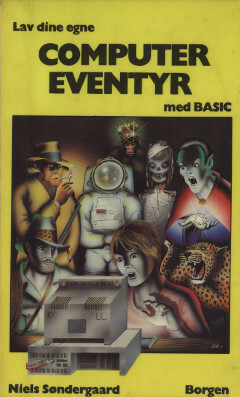 Det drejer om en indskanning af bogen “Lav dine egne computereventyr med BASIC”, som er skrevet af Niels Søndergaard (ham med underteksterne, du ved) og udgivet i 1985. Bogen kan stadig findes på enkelte biblioteker, men ellers er den umulig at opdrive. Hvis du får lyst til at læse i den og måske taste nogle af programmerne ind, kan du finde dig en C64-emulator og så ellers bare gå i gang. Du kan hente bogen og læse mere om at køre en C64-emulator med spillene her. Disclaimer: Det er ikke min intention at træde nogen over tæerne ved at lægge disse dokumenter på nettet. Offentliggørelsen her har kun til formål at gøre en gammel bog, som ikke længere kan købes, tilgængelige for de fans, der stadig ønsker at læse den. This entry was posted in Ikke-kategoriseret on 20.10.2014 by admin.